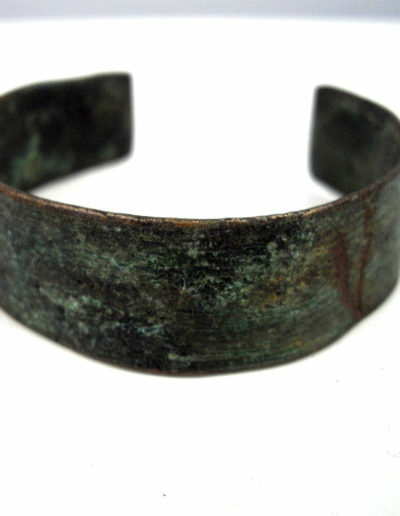 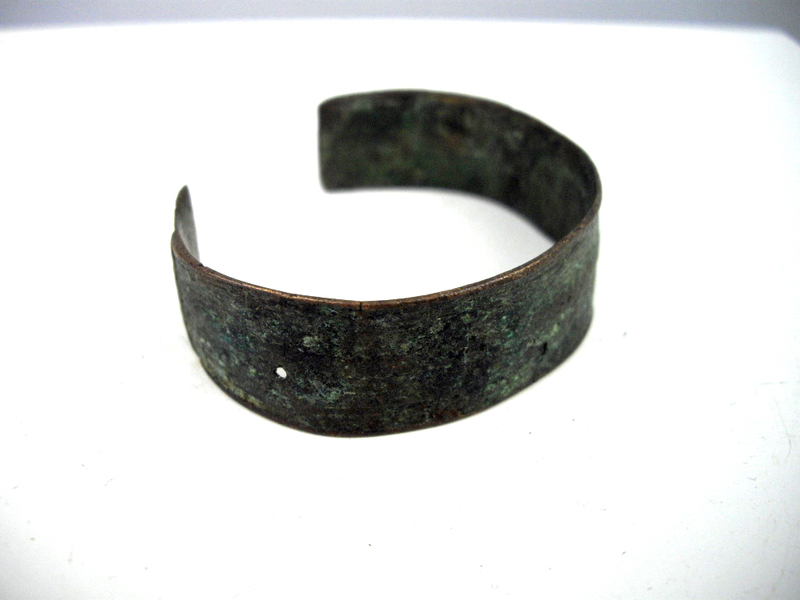 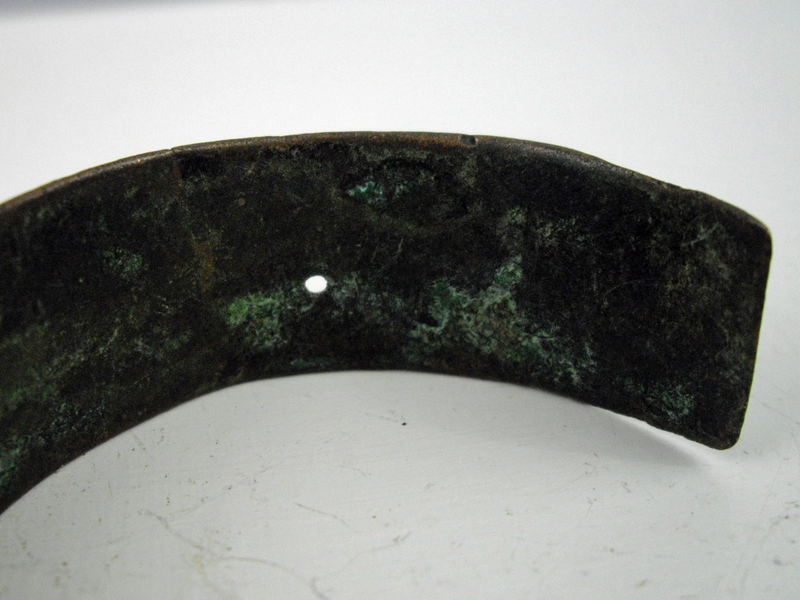 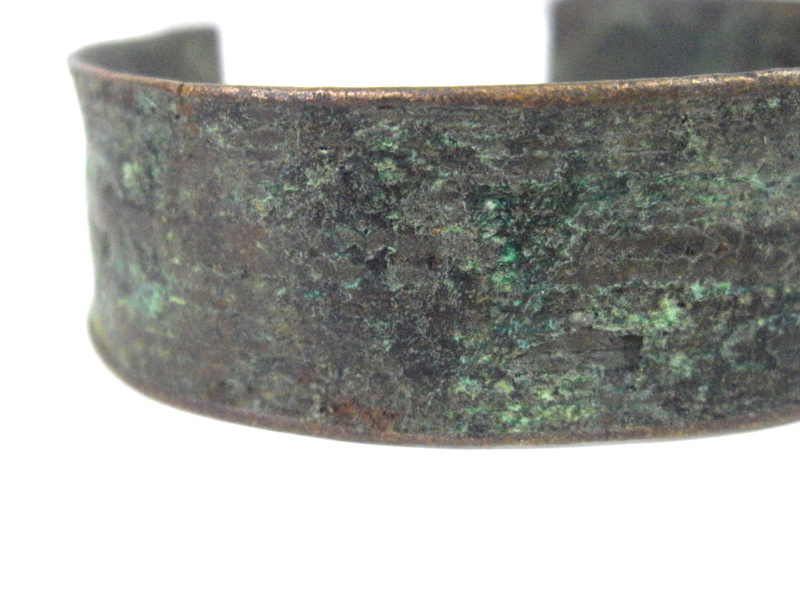 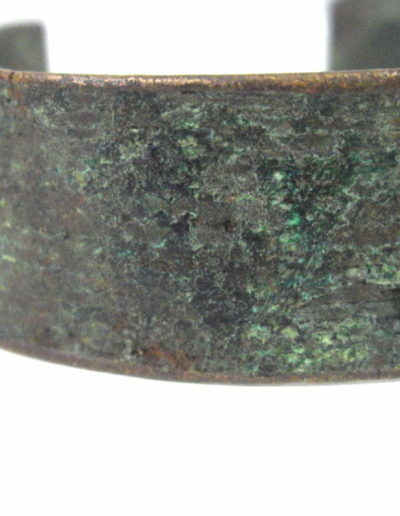 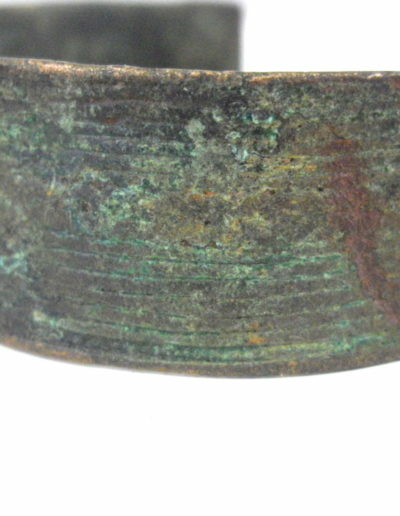 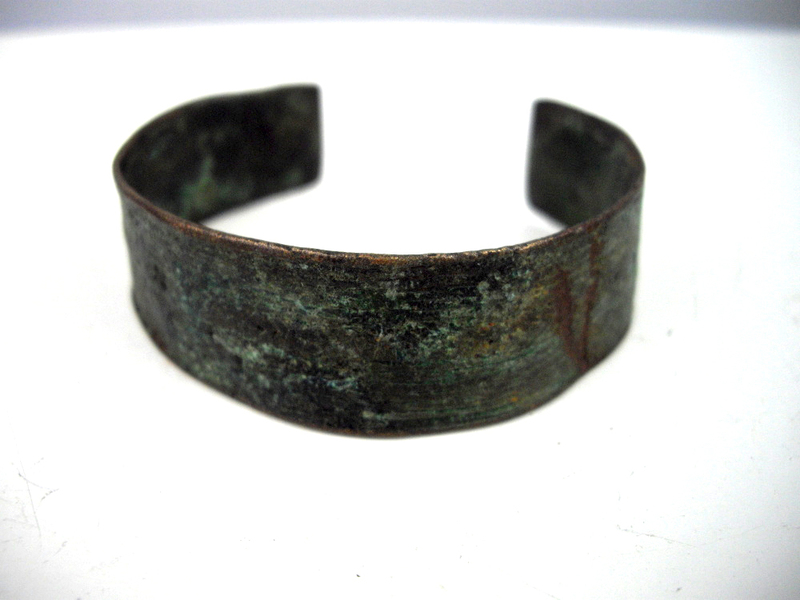 Open bangle from the Lobi people, Ex Lampevelden Collection, Netherlands. 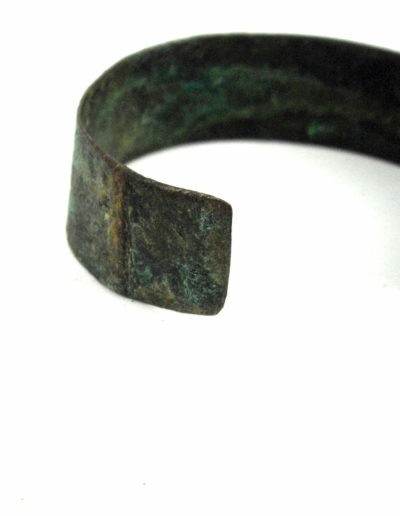 Lovely and old wrist adornment in the form of a bangle from the Lobi tribe who live in Burkina Faso. 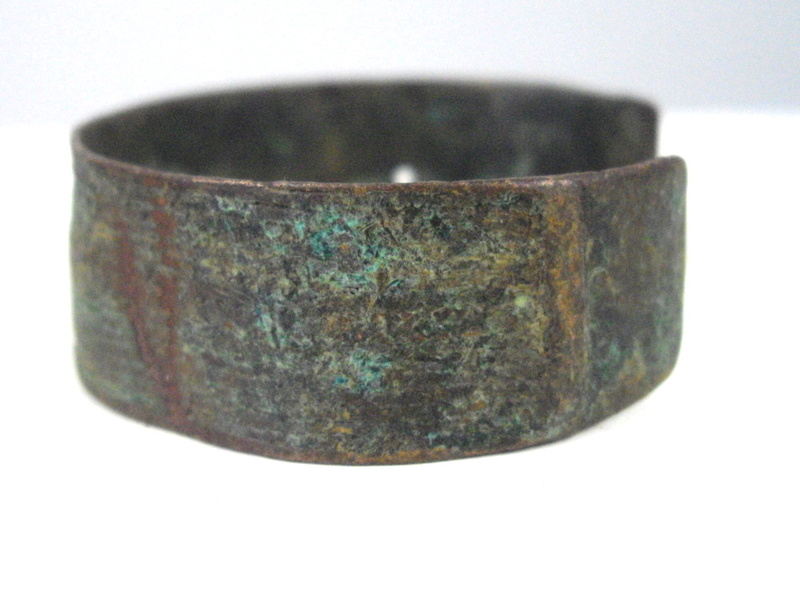 This bangle/bracelet has a 6cm diameter with a 3 cm opening. 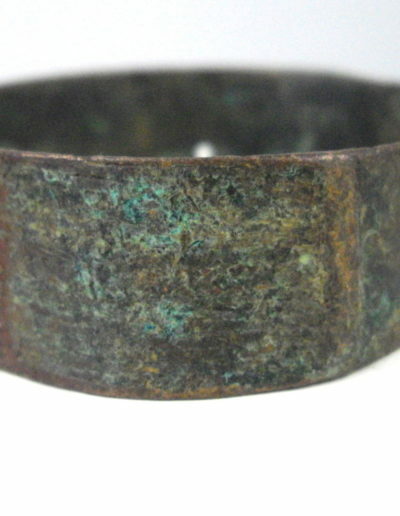 Made of a metal which looks like copper due to the green oxidization that is present throughout this piece of Lobi jewellery. 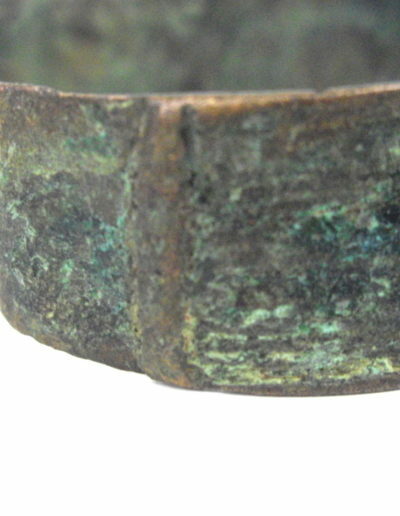 A small band of decoration is evident on both edges of the opening and a very small pierced hole is present perhaps where once a charm may have been attached. 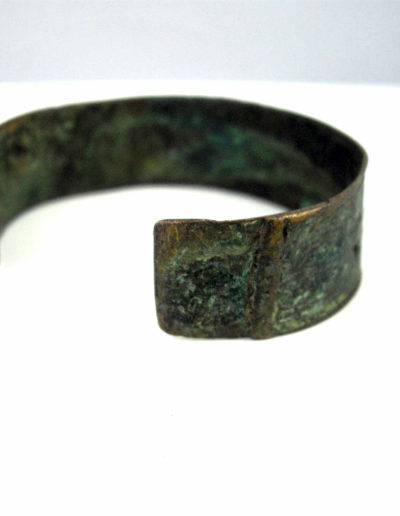 A beautiful piece of old Lobi jewellery. 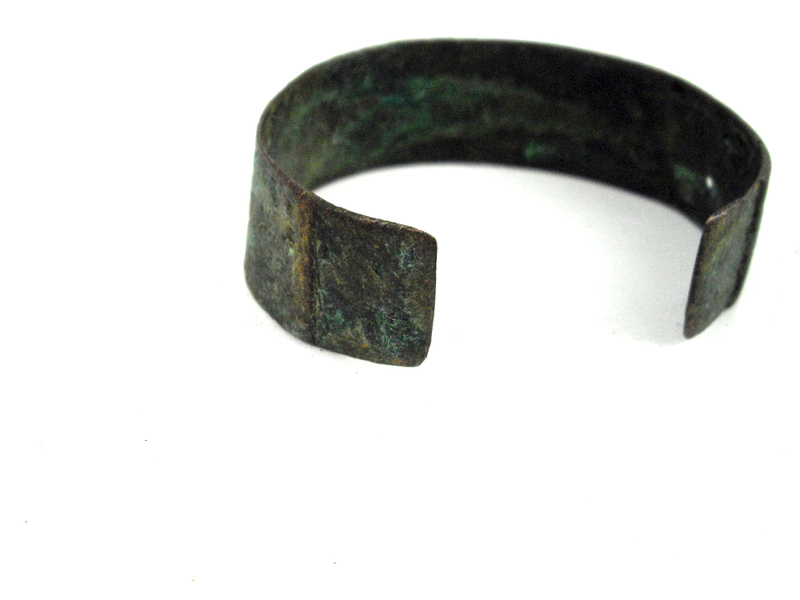 Lobi men devote some of their time to the forging of iron and the casting of brass. 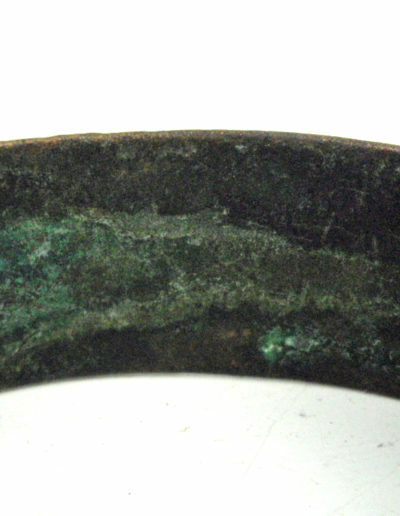 They make delightful amulets in both animal and human form, with the strange iron snakes perhaps the best-known. 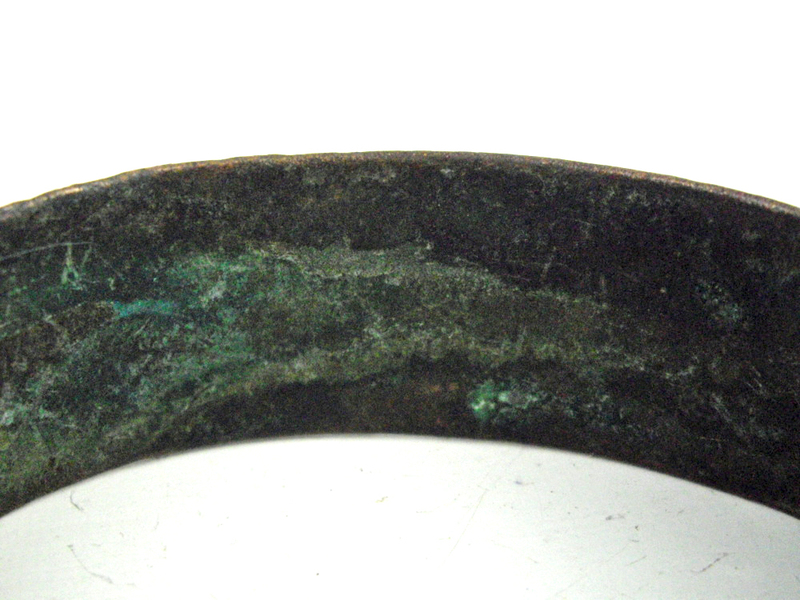 There are many interesting utilitarian objects, like charming figural slingshots, and small phallic-form flutes and staffs. 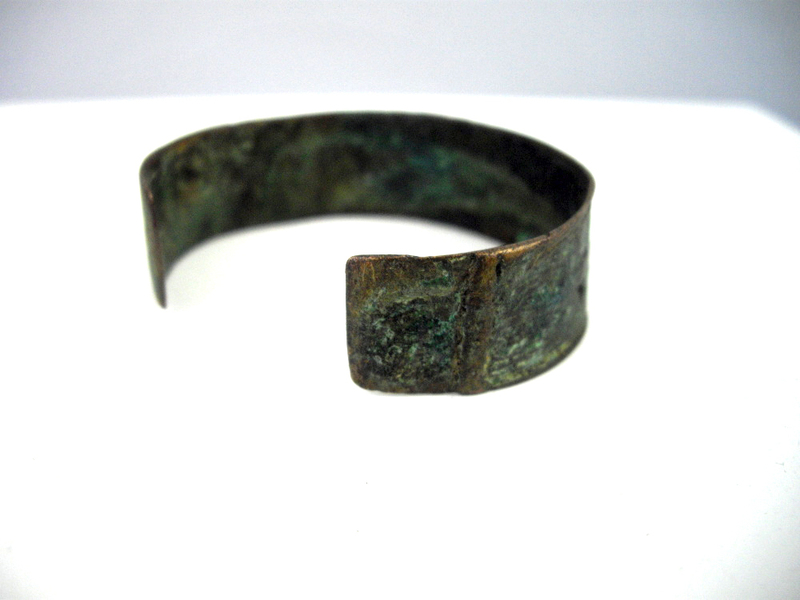 The art of the Lobi continues to grow in popularity due to its naive beauty and relative abundance. 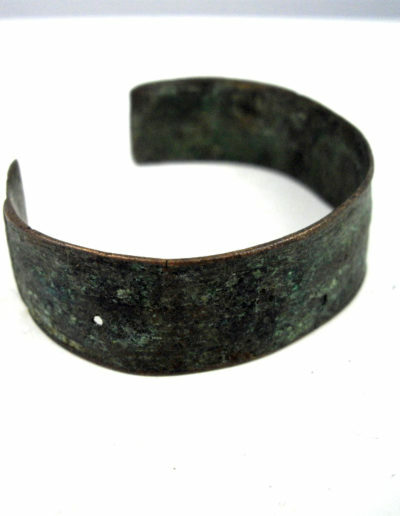 The iron bracelets made by the Lobi (in Burkina Faso) have knots in them. 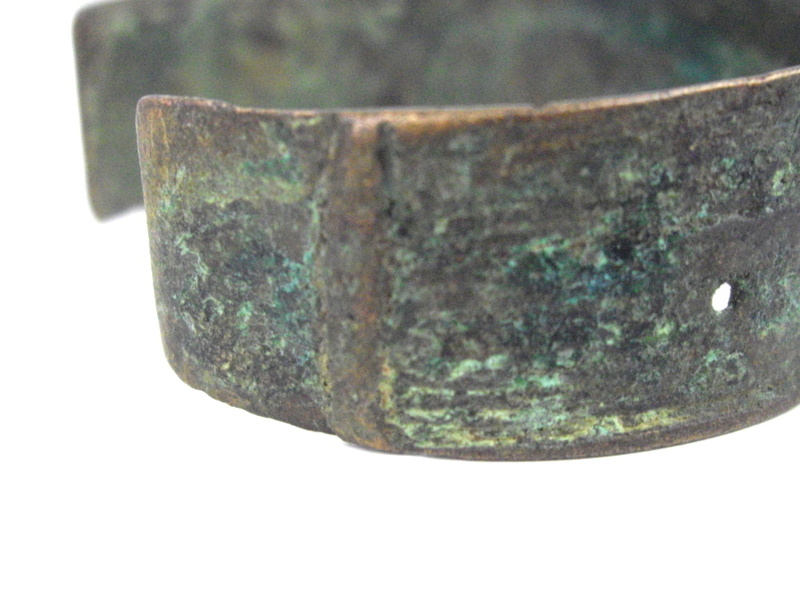 The more knots, the more powerful the adornment was and the better the chance of protection. 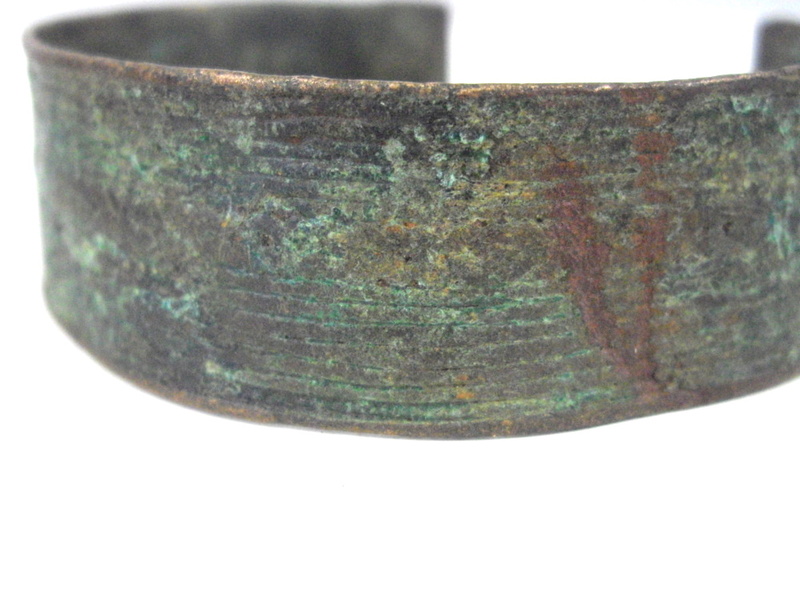 Some of the adornments are shaped like a snake. 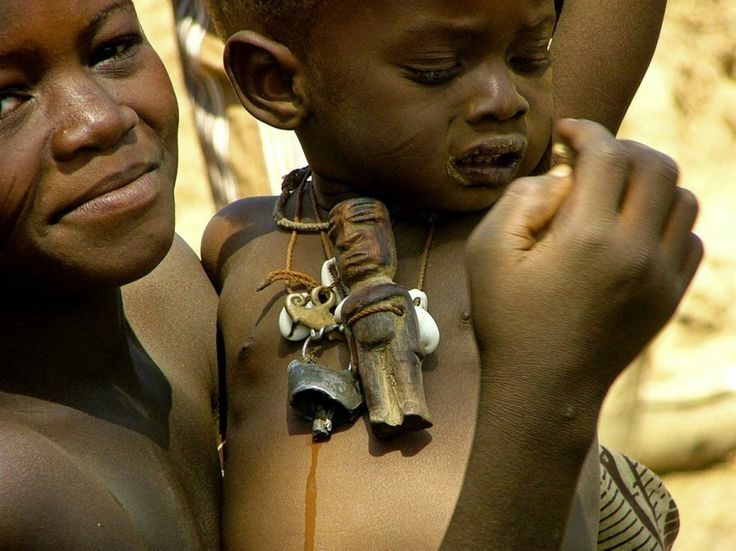 Jewellery is worn by the Lobi in many forms with alot being in the form of amulets. 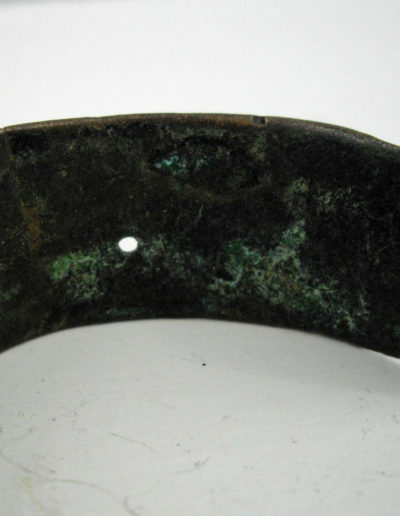 The amulets are there and serve the purpose of adding and providing protection to those who wear them.